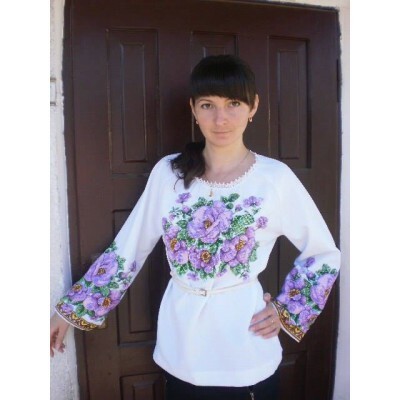 Ukrainian embroidery is having deep traditions, which came from past times and settled on shirts. 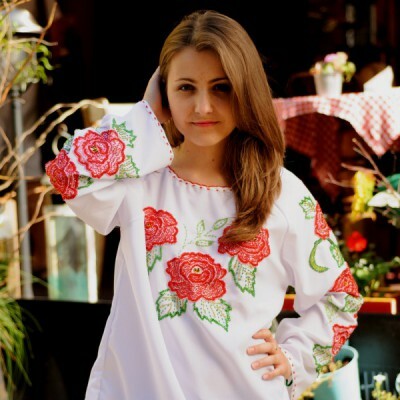 Embroidered shirts (vyshyvankas) and towels (rushnyks) are cultural heritage of the Ukrainian people. 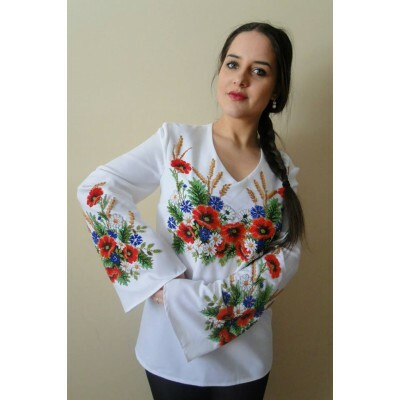 In past times women were spending cold long winter evenings by doing needlework, stitch by stitch covering the shirt with unique designs, putting heart and soul into a pattern. 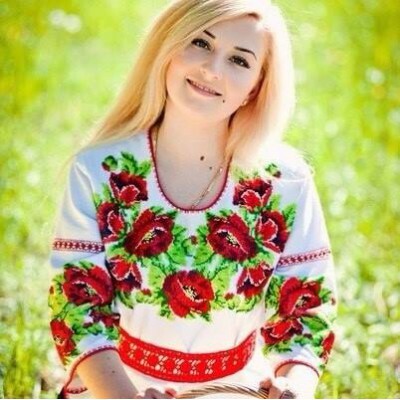 That's why embroidery is our history, our wealth and pride. 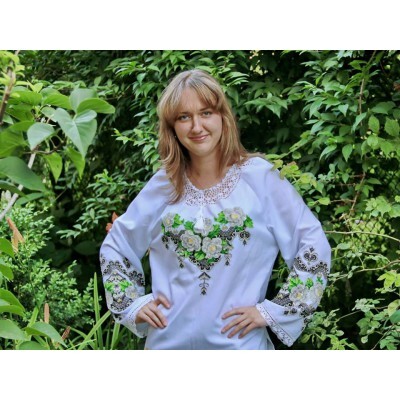 Today Ukrainian embroidery is a complex, multifaceted phenomenon that occurs in a variety of ways, and has been actively used in modern clothes. This gives it a uniqueness and originality. 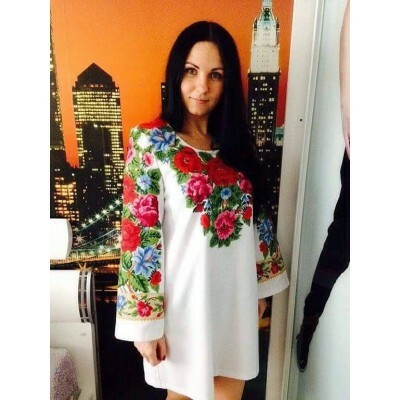 In addition to traditional embroidery by threads it got another remarkable trend - beadwork. Usually it was the women's shirts, designed for holidays or weddings. 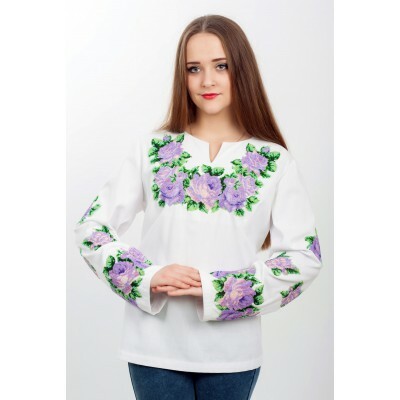 As beadwork is a very tedious hand work, material for dresses was taken only the most expensive and it was decorated with the best glass beads. 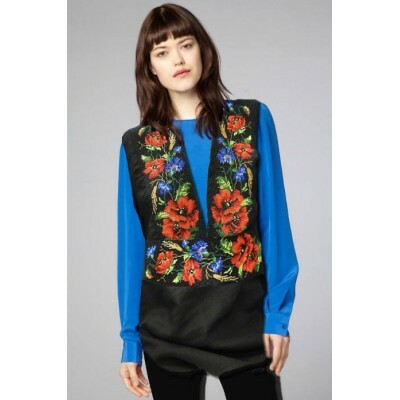 This kind of embroidery was looking very rich and luxurious. 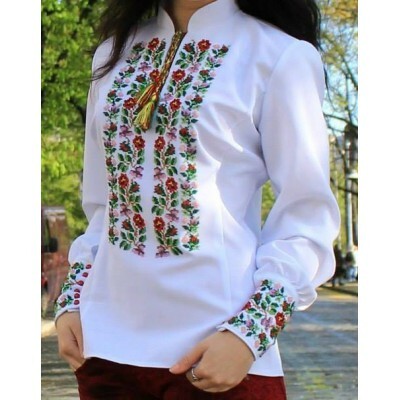 Skillful performance, material, threads, pattern, colour were very important and valued those days as embroidery was showing not only financial status and wealth of its owner, but also about his identity and origin. 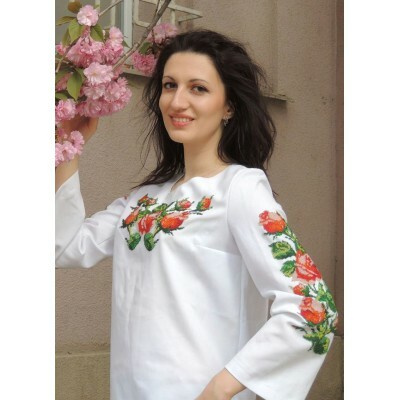 We have kept the traditions and techniques of beads hand embroidery. 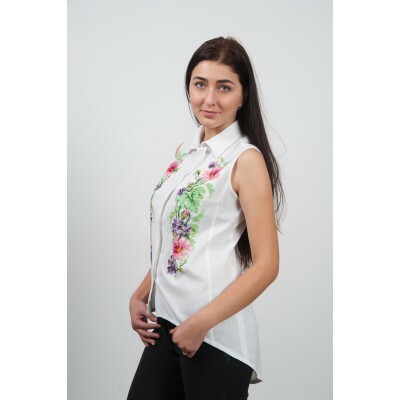 While creating shirts we are using 100% cotton and high quality Czech glass beads. 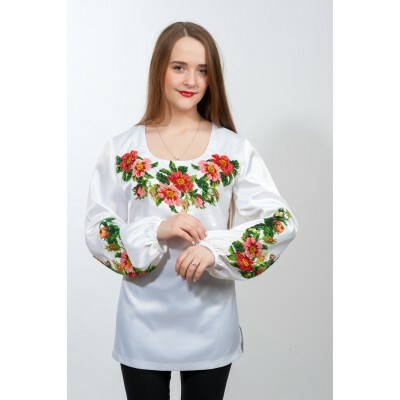 That's why this embroidered shirt is a great gift to your beloved person. 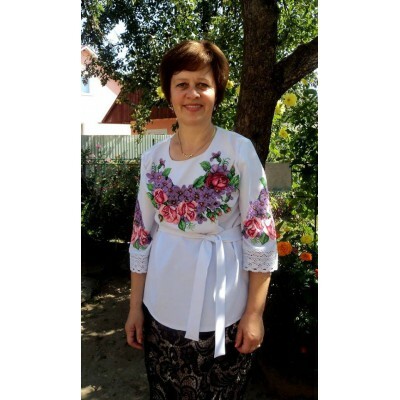 It should be noted also that hand sewing beads can not be cheap, because it is very hard work, which is time consuming.